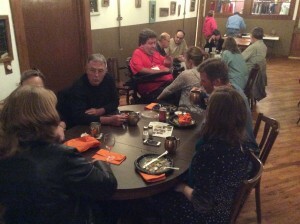 Over a month ago (October 29-30), Ogallala Commons Board of Directors and Advisory Council held their semi-annual meeting in Atwood, Kansas. Several OC Staff members as well as some spouses of Board members attended a Field Tour on the morning of October 29th in St. Francis, Kansas, where the group visited Ross Manufacturing, to see how the Callicrate Bander is manufactured, assembled, and shipped across the country and around the world. The total operation employs over 60 people who live in this rural community! Our group was hosted by Mike Callicrate (who also owns Ranch Foods Direct) for a luncheon out at his feed yard south of St. Francis. Later in the afternoon, our group enjoyed a walking tour of Atwood, starting at Currier Drug and Bison Pharmacy, owned by OC Board Member Dawn Hampton and her husband Jim. The tour also took in the city pool, where the Mayor spoke to the group about the multi-year process of achieving such a fine community asset. The tour ended at VIC Innovations, an internet provider for the community that is owned by a Simon Micek, who returned to Atwood after graduating from college. Next, Ogallala Commons hosted an open meeting with the people of Atwood and surrounding towns about community projects that has been undertaken or accomplished with the help of Ogallala Commons over the past 11 years. In attendance was Jade Artzer, owner of Made by Jade. Jade is a 14-year-old girl with a successful and profitable bread mix that you can bake at home. We were inspired by her story: another example of how youth engagement and entrepreneurship is paying great dividends to the region. 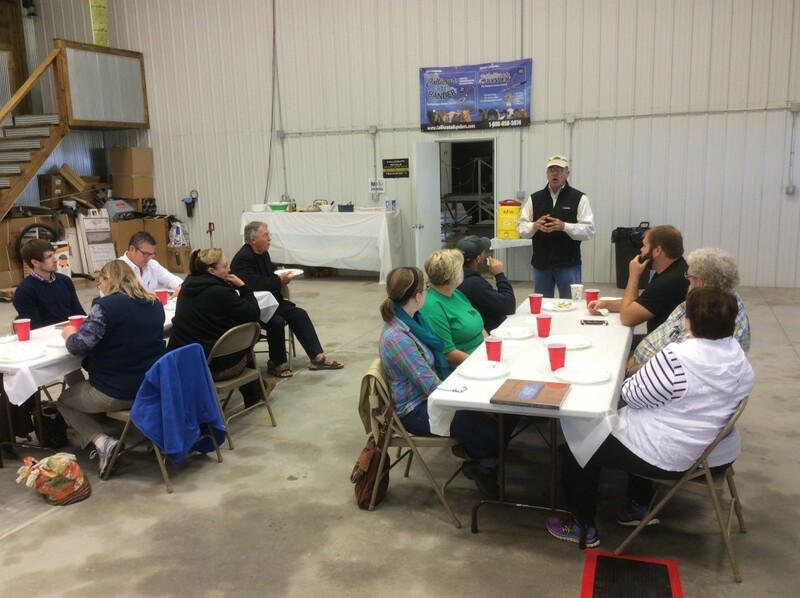 OC’s Board & Advisers Meeting was held on the morning of OC 30th, in the Board Room and facilities at SureFire Ag, a fast-growing local business. We were joined at our meeting by our partners from South Dakota, intern alum Francine Richards, along with her supervisor Steve Hernandez and his wife Pauletta, all from Pine Ridge Reservation. 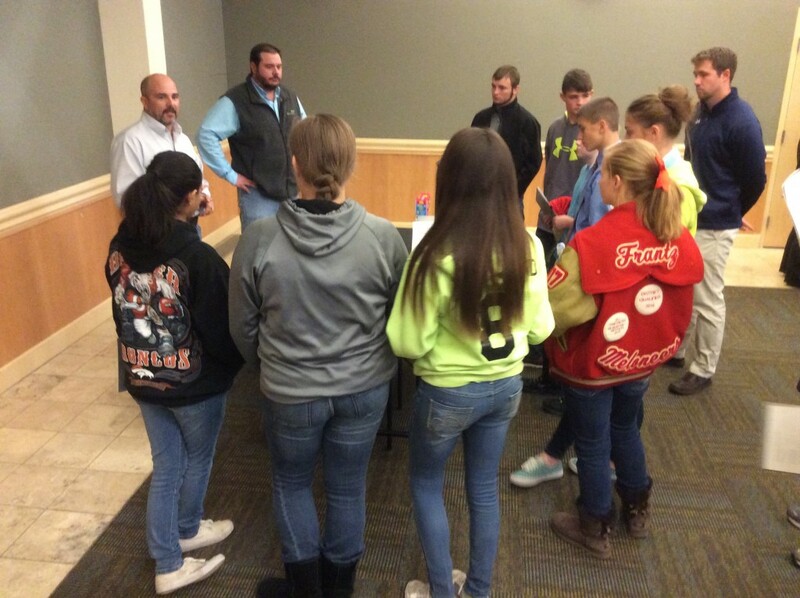 OC Board & Advisers will meet again on February 26, 2016 in Amarillo, Texas. The events planned for mid-November by OC in southeast Colorado ran into a weather snag, but we were able to salvage a good outcome anyway. A winter blizzard forced the cancelation of our November 17th Youth Engagement Day (YED) at Lamar Community College, but as is often the case, on the next day, the sky was clear and there was no snow on the ground for our YED at Otero Jr. College (OJC) in La Junta on November 18th. Over 50 students from 8 schools gathered to learn about developing an entrepreneurial mindset as well as careers that could lead them back to their home regions. In addition to hearing from some remarkable entrepreneurs, the students learned about career possibilities that are promising and possible in southeast Colorado. A highlight were the career education tours at OJC. Small groups learned by getting involved in activities at the Nursing Department, the STEM Program (Science, Technology, Engineering, and Mathematics), and by doing water testing through instructors in the Agriculture Department. A virtual YED will be offered in January 2016, utilizing Distance Learning equipment for the schools who were not able to attend the cancelled event at Lamar. In order to assess whether the Community Internship & Apprenticeship Program was achieving its main objectives, Ogallala Commons has just completed an evaluation covering the years from 2007-2014. The evaluation was conducted by Shelby Thibodeaux, OC Intern & Apprentice Program Coordinator. The primary tool for conducting the evaluation was an online Wufoo survey form, with additional responses gathered both through phone and face-to-face interviews, in addition to some responses through Facebook and email. In the end, there were 90 responses to the survey, 44% of the 208 total OC Intern and Apprentice alumni from 2007-2014. The Program Evaluation indicated to Ogallala Commons that most of the interns in our program (79%) did their internship and apprenticeships in their hometown or region. Additionally, most respondents (71%) felt like they achieved the goals of their internships and apprenticeships. After successfully completing their internship or apprenticeship with Ogallala Commons, most alumni have returned to their hometown or region (69%). The evaluation also gave us more information about where our alumni are now, and where they want to be. The majority of alums who did their internships in their hometown or region have stayed there or have already returned, or have left and want to return. 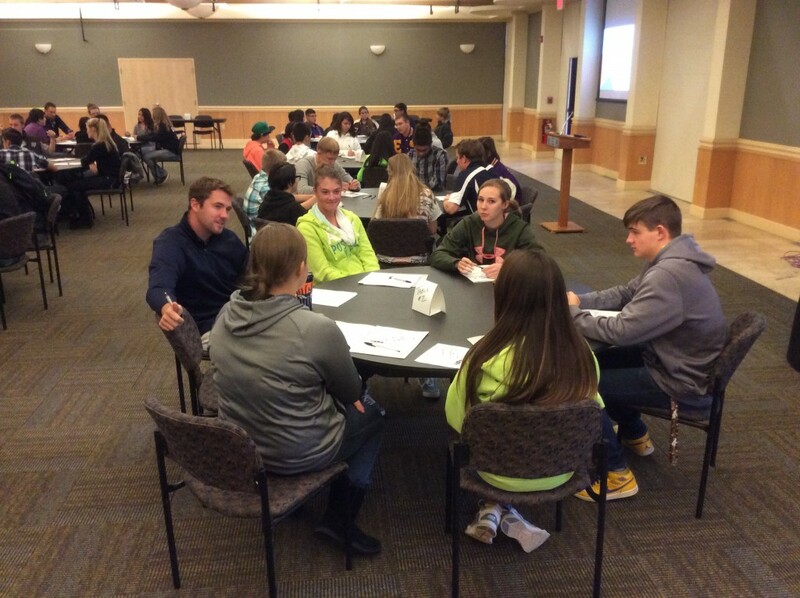 This feedback demonstrates that Ogallala Commons is reaching its long term goal of helping youth to build a pathway to return to their communities or home region, after being a part of OC’s program. The information that was received from the survey provides positive affirmation regarding the growth of OC’s Intern and Apprentice Program over the years. Ogallala Commons began its Intern and Apprentice Program in 2007 with two interns. 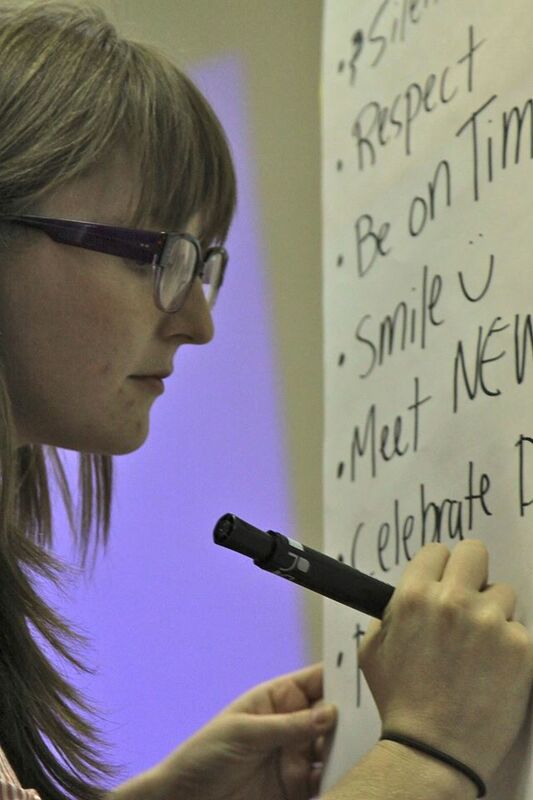 From 2007 to 2014, Ogallala Commons created 254 internships for 208 participants.